Visit web for more info. Health: A/A, 0:0 (October 2011), eyes Clear (April 2012). 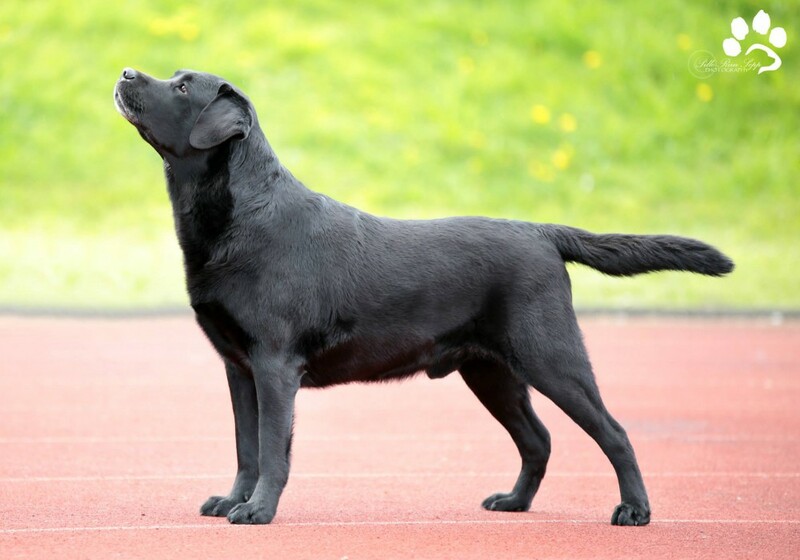 Pille-Riin about her dog: Damaskus is a big strong male labrador, who has excellent quality head & expression, excellent coat etc. Damaskus has a stunning personality, he is always ready to do anything – have a long walk, go to a doggie square to play with others, go to rollerskating or what ever comes to my mind, swimming is definitely the best. He is very co-operative and loves to learn new things, or just compete in obedience and agility. He also loves to shine on dog shows, his performance is perfect and it’s getting more perfect with every show. He is also very friendly and kind, he loves children, he doesn’t mind, when they are climbing on top of him or just pulling his tail. But he is not some soft guy, he can also protect you from bad people/dogs and he has a very powerful bark. I remember one time, when we were walking to the beach and some random dogs camem without an owner, I was so scared that they will attack us, but Dassu wasn’t scared at all, he came in front of me, barked one time and the angry dogs were gone! Unbelievable, that he just barked and about three dogs were afraid and run away, my mighty labrador! He also has a huge willpower, when he is afraid of something he may try it one hundred times or more, but he will never quit, and finally he has the guts to do it, cause he just wants it so badly and actually there is so much to learn from him… you just have to believe and try-try-try, even if you are afraid, and finally you can manage the thing you were afraid of, and this feeling is definitely awesome! I’m so proud of him! 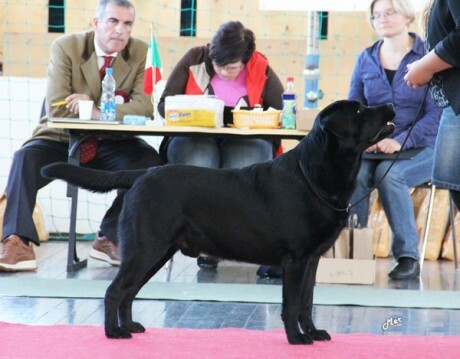 We have some future plans in national obedience and agility and of course dog shows – our passion. large size dog, very nice head & eyes & expression, nice neck, good upperarm, good front assembly, very deep brisket, very good substance, moves correctly. Open Class ex/2, cac/2 (+ CAC), res-CACIB & Best Male-2. very strong, masculine male, lot of volume in body, medium angulations, long enough neck, excellent head and expression, nice movement, well trained. Open Class ex/1, cac/1 (+ CAC ) & Best Male-2. v. good typw, enough bones, strong male head, beautiful earset, strong neck, a bit soft in back, exc front chest, .., enough angled, good coat quality, moves well. JUN CAC, BOS JUN.